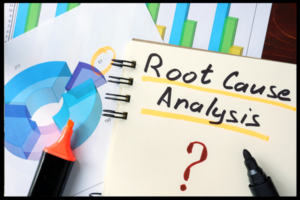 Failure analysis investigations are performed with the goal of identifying the “root cause” for the physical failure of a component. Failure analysis is conducted to assist in the improvement of product design, the refinement of operational limits, and the implementation of corrective actions. Failure analysis is a multi-disciplinary endeavor, often requiring expertise in multiple branches of engineering, including materials science, metallurgical, mechanical and chemical engineering. A failure analysis investigation typically begins with a collection of relevant background information on the failed part, such as environmental and operating conditions, service records, design details, and material specifications. This helps the analyst identify potential threats to the integrity of the part which can greatly narrow the focus of the investigation. The analyst then defines a scope of testing and analysis to collect data which is ultimately used to arrive at a conclusive cause of failure. Accu-Test Labs’ team of highly experienced metallurgists conduct advanced metallographic assessments, including fractography using Scanning Electron Microscopy, and apply advanced engineering concepts to characterize fractures, identify failure modes and determine root cause in their thorough investigations of failed components.